'Avengers: Endgame' is the one superhero film everyone is super excited for this year. But before that, there is a major MCU film that is also grabbing attention, 'Captain Marvel'. After an intriguing trailer, the makers just dropped a clip from the movie recently. 'Avengers: Endgame' is the one superhero film everyone is super excited for this year. But before that, there is a major MCU film that is also grabbing attention, Captain Marvel. Starring Brie Larson, the film will set in the 90s, with a much younger Nick Fury and with the strongest superhero in the MCU taking on the Skrulls. After an intriguing trailer, the makers just dropped a clip from the movie recently. The video shows Captain Marvel in a high octane chase sequence atop a moving train. She can be seen fighting with a Skrull atop a high-speed train, as agent Coulson is chasing the skirmish on road in his car. It is indeed a thrilling clip as at one point, the superhero is almost on the verge of falling off the train as she holds onto the edge for dear life. 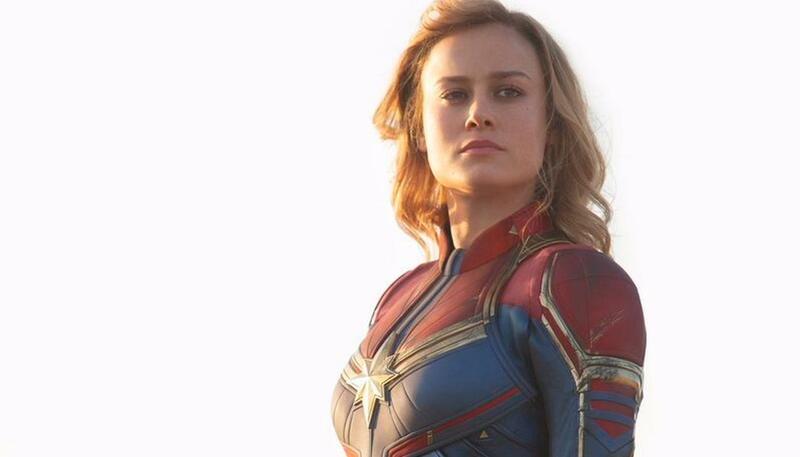 Watch this brand-new clip from Marvel Studios’ #CaptainMarvel. Of course, this would strike as strange to most as Captain Marvel can fly and has almost infinite superpowers. However, since it is an origin story, it seems like she will slowly rediscover her powers as she explores Earth. For those who are unaware, the trailer of the film showed her falling from the sky into a store, probably making her lose memory of her true identity. But, superpowers or not, it is still really exciting to watch this awesome scene unfold. In case you missed it, here is the new trailer of Captain Marvel. And the original first trailer featuring the aforementioned falling from the sky scene. The film is all set to release on March 8, 2019 and will act the perfect cinematic appetizer before Endgame drops in April.